Finally found recipes for Donut from Allrecipes.com that you don't have to fried and still taste like donut. "Little nutmeg-scented mini muffins are rolled in cinnamon sugar to make a treat that tastes like a donut and is fast to whip up. You can substitute butter for margarine." 1. Preheat oven to 375 degrees F (190 degrees C). Grease 24 mini-muffin cups. 2. Mix 1/2 cup sugar, 1/4 cup margarine, and nutmeg in a large bowl. Stir in the milk, then mix in the baking powder and flour until just combined. Fill the prepared mini muffin cups about half full. 3. Bake in the preheated oven until the tops are lightly golden, 15 to 20 minutes. 4. While muffins are baking, place 1/4 cup of melted margarine in a bowl. In a separate bowl, mix together 1/2 cup of sugar with the cinnamon. 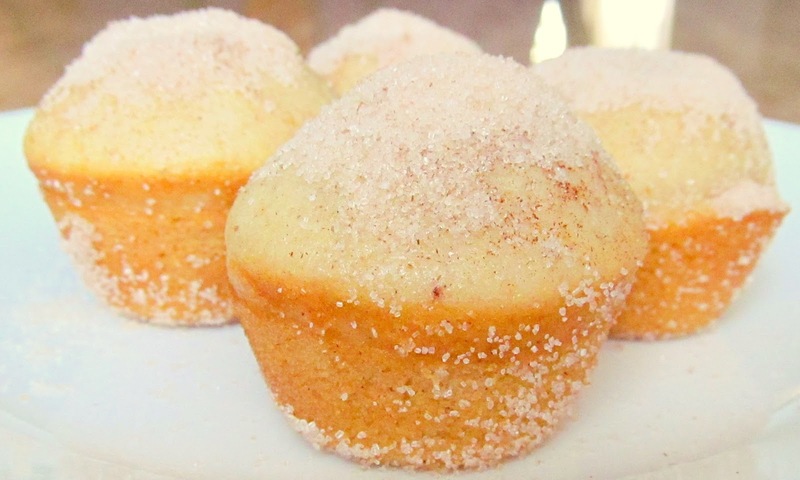 Remove muffins from their cups, dip each muffin in the melted margarine, and roll in the sugar-cinnamon mixture. Let cool and serve. That's so cool! I love the idea of having doughnuts in a muffin!